Random House is proud to present the tenth anniversary edition of a book Publishers Weekly called "a gem of a book...a story that goes straight to the heart." When nine-year-old Gregory experiences several upsets in his life, he responds by creating a fantastic chalk garden on the charred walls of a burned-out factory behind his house. As his garden grows and flourishes, Gregory finds a voice through his art and, for the first time, is able to find his own place in the world. 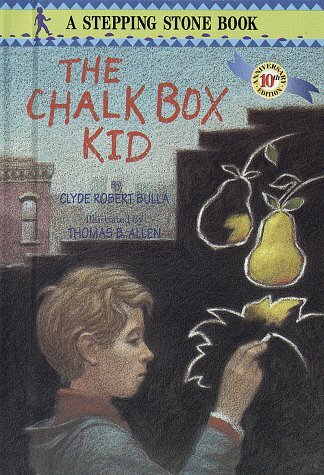 The Chalk Box Kid is sure to delight a new generation of children and their parents. About Clyde Robert Bulla (Author) : Clyde Robert Bulla is a published author of children's books. Some of the published credits of Clyde Robert Bulla include White Bird, Grain of Wheat: A Writer Begins.